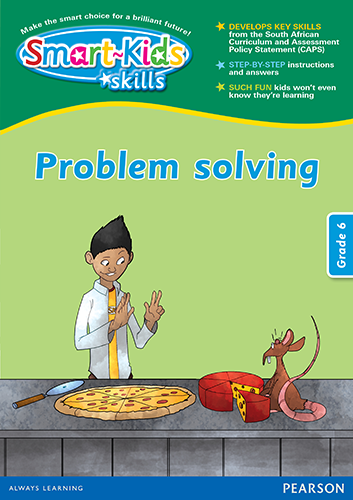 Smart-Kids Problem Solving Skills workbook provides extra practice and develops key skills of the South African curriculum where learners tend to struggle. The workbooks are specially written by experienced South African teachers and contain valuable notes, tips and answers for parents and caregivers. Helps the learner to gain much-needed confidence and skills in tackling Math problems.